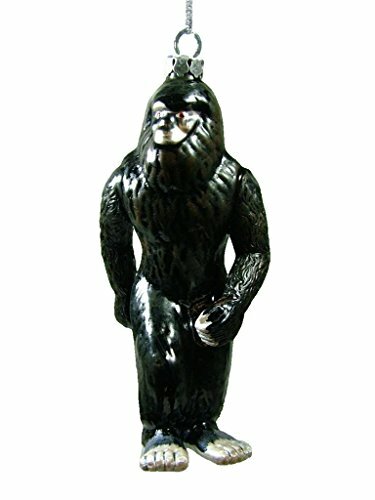 Hide this 6-1/4" (15.9 cm) tall glass Bigfoot Ornament on your tree and your whole family becomes Bigfoot hunters. 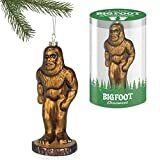 Beautifully sculpted to look like everyone's favorite hairy forest dweller, this Bigfoot ornament includes a string for hanging, but can also stand on its own. 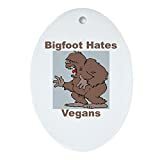 CafePress brings your passions to life with the perfect item for every occasion. With thousands of designs to choose from, you are certain to find the unique item you've been seeking. This high quality porcelain ornament is lightweight for hanging as a tree ornament, and looks great with the professionally printed design. Our Christmas ornaments make the perfect gift for baby showers, wedding gifts, and Christmas, or you can use them as home and office decorations. Each holiday ornament also comes with its own festive red ribbon. And with CafePress, your satisfaction is always our promise. buy with confidence, as we offer easy returns and exchanges and a 100% money back guarantee.